The other day, I bought the postcard above. 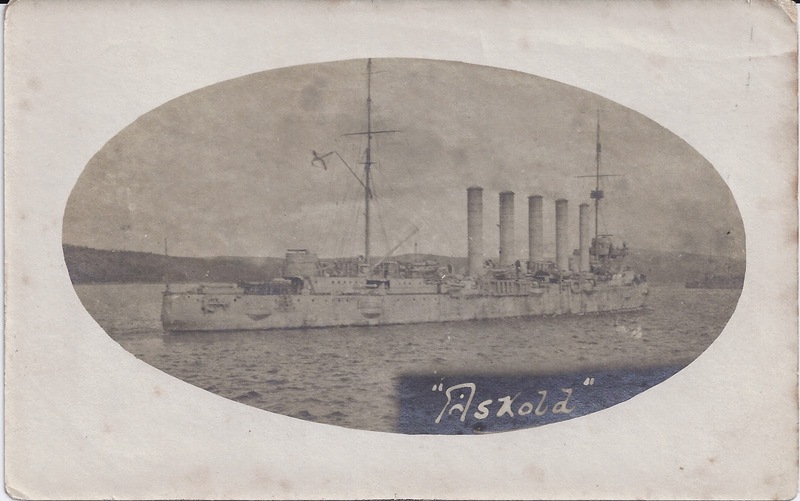 On the back, in a typical English handwriting style, is a note saying "Photo taken in Murmansk Harbour November 1918". Twenty years ago, it would have taken at least an hour to find out more about this card - even though a lot of information is already provided. Unless you had a specialist reference book on your shelf, it would have meant a visit to a Library or possibly a decision to Phone a Friend. Now, it takes a few seconds to pull up the Wikipedia entry for the Russian cruiser "Askold", built 1899 - 1901. It was seized by the British navy in 1918 during "White" operations against Bolshevik Russia. Wikipedia says it was seized at Kola Bay and if you then hop to the entry for Kola Bay that turns out to be an inlet (a fjord) at Murmansk. The British renamed the ship HMS Glory IV but then offered it back to the Soviets in 1921, once they had decided to recognise the new regime. The Soviets looked it over, thought it only fit for the scrapyard, and to the scrapyard it duly went in 1922.